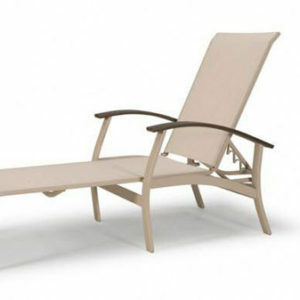 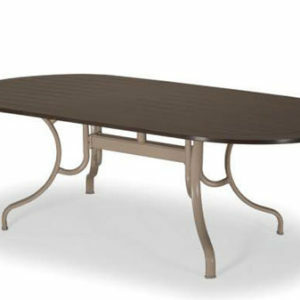 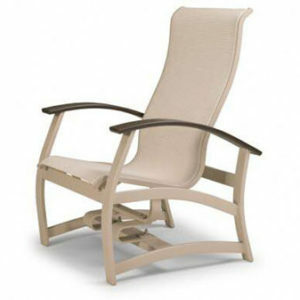 Telescope casual manufacturers one the best quality and comfortable patio chairs in America. 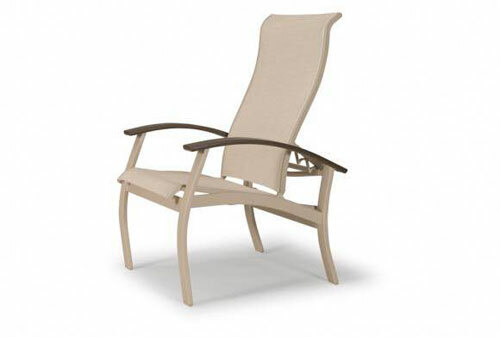 In the belle isle sling collection they offer the maintance free recycled mgp poly arms for styling and low maintenance plus the sling seating of a traditional patio chair for the comfort. 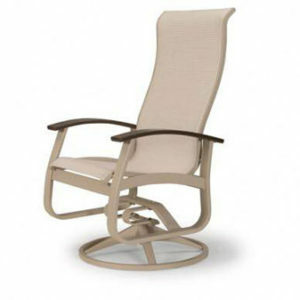 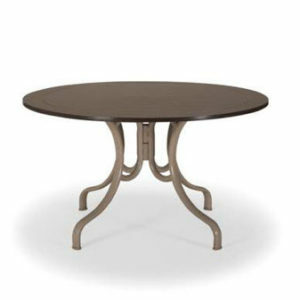 The frame is offered in 11 colors and the sling seating is available in 100’s of fabrics. 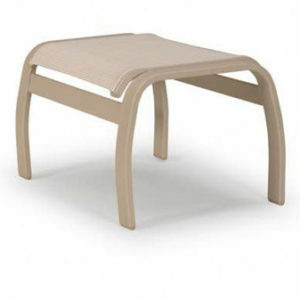 Since the furniture is American made you can customize the color.